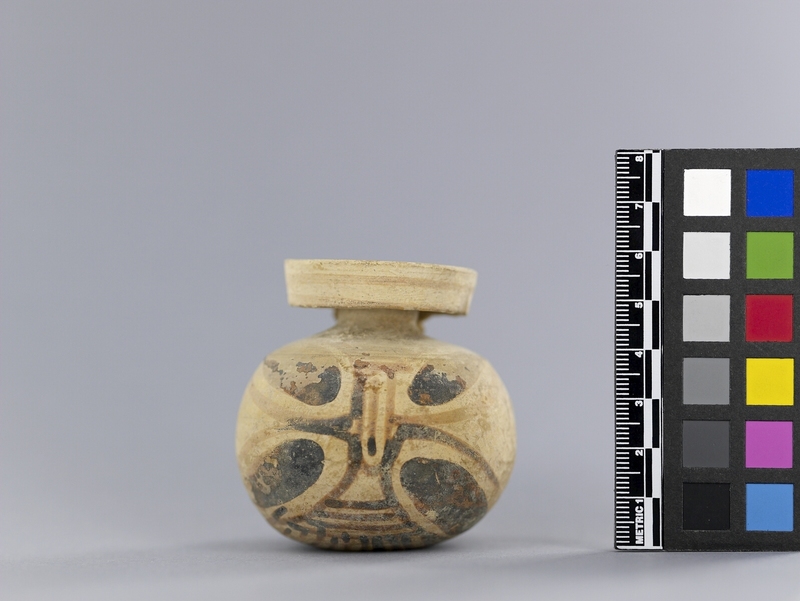 Item number Ce342 from the MOA: University of British Columbia. 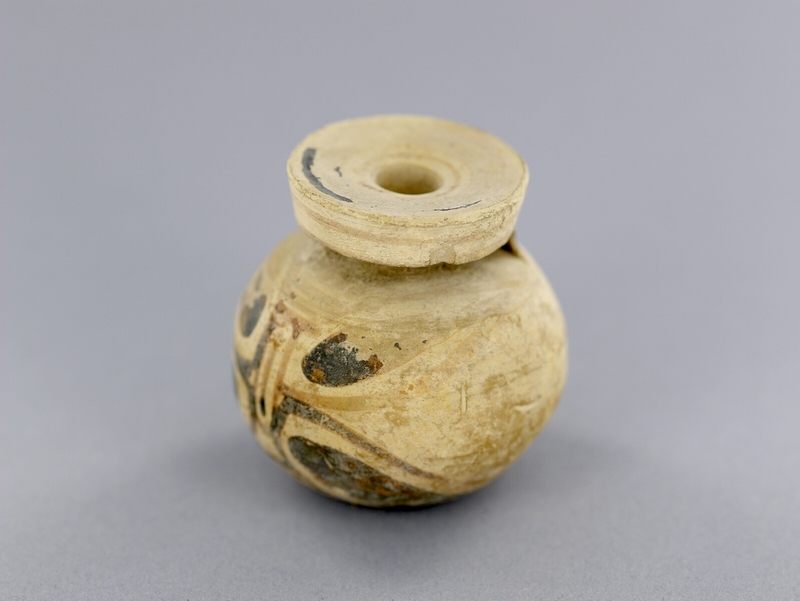 Cream clay container consisting of a hemispherical body with a disc shaped top connected to the body by a square piece of clay. The neck is narrow and mostly hidden. The body and the top are decorated with black paint. The body has a geometric, stylized design of ovals and lines.